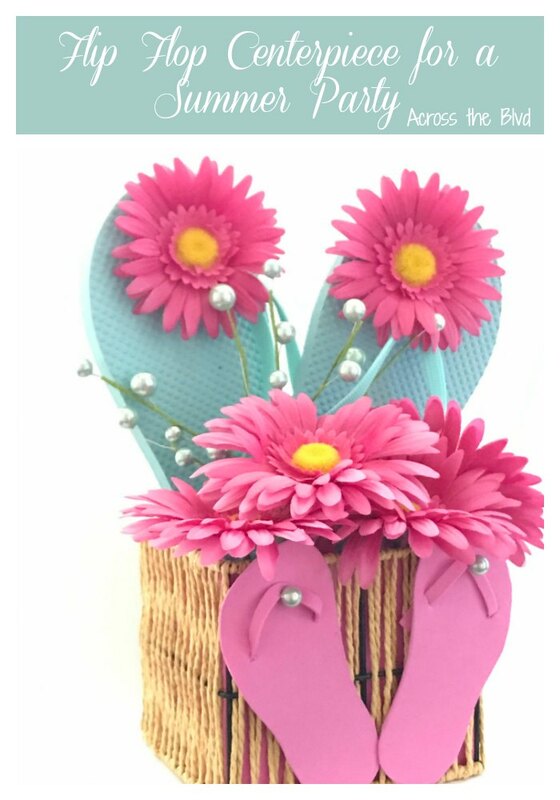 Making a Flip Flop Centerpiece for a Summer Party is an easy to put together craft. Using dollar store flowers and flip flops, a thrifted basket, and foam sheets keeps the cost of this low. 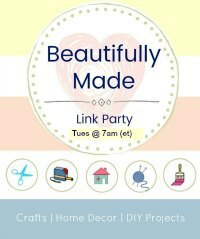 It takes less than thirty minutes to make and it’s a fun decor piece for a party. I love having themed parties like my Flamingo Party that I hosted a couple of months ago. 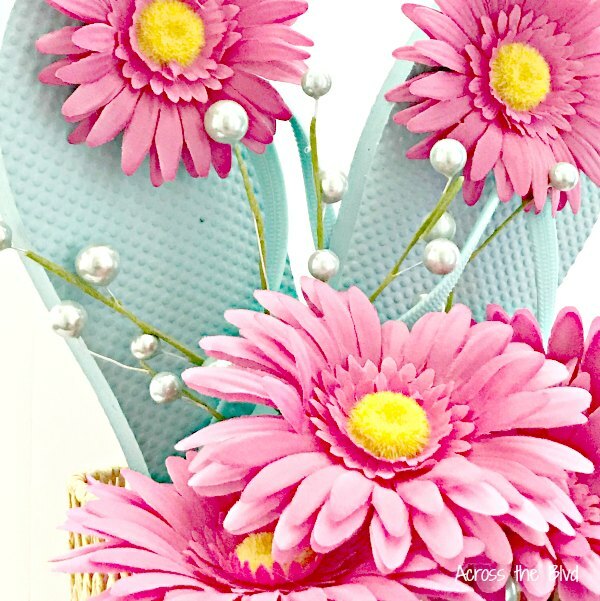 Today, I’m sharing a fun centerpiece for a Flip Flop Themed Party. 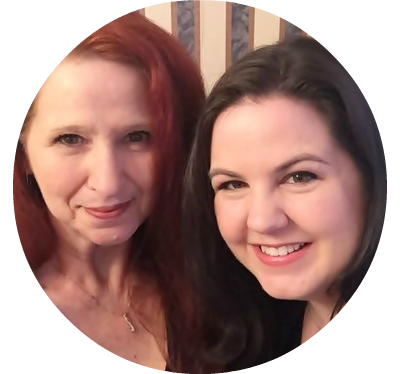 As summer winds down, but before I start sharing all things fall, I wanted to have one last summer fling. 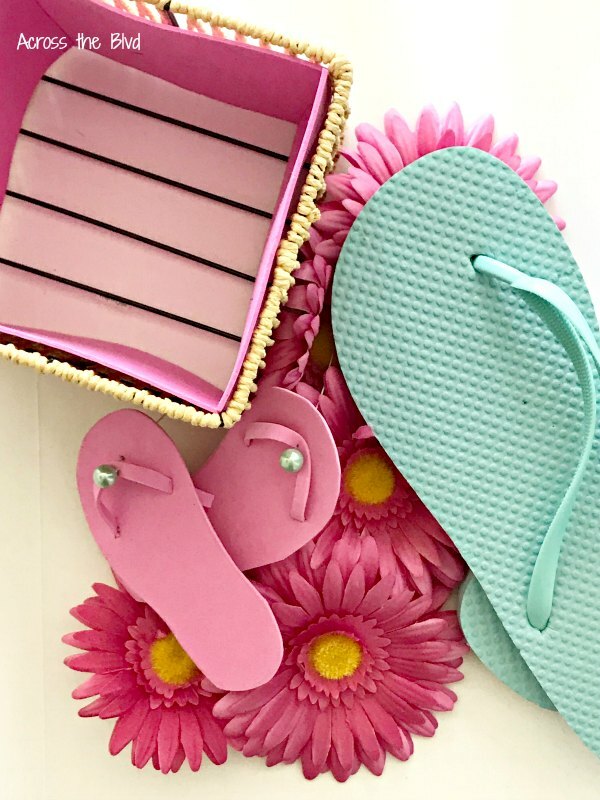 This week, it’s all about how to have a flip flop themed party. I can’t pass up baskets that I find at my local Goodwill store when they are in great condition and are priced low. 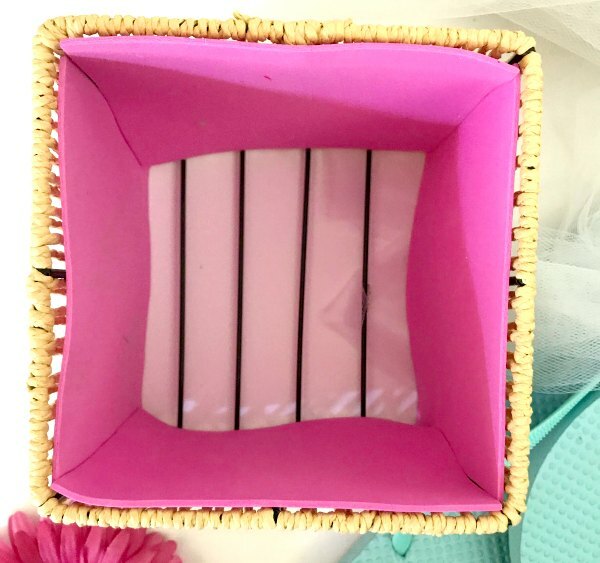 This square basket was $2.99. It has a lid that I set aside. I’m already thinking of ways to use it for another project. 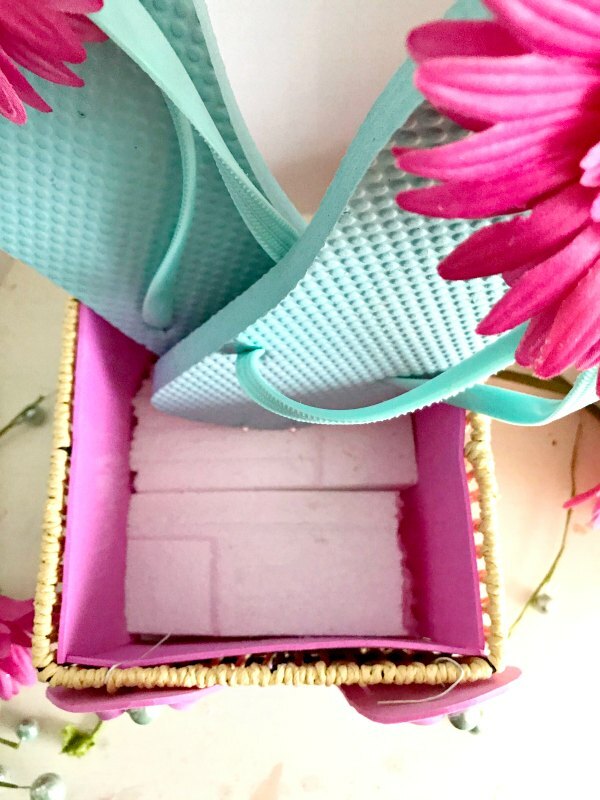 I lined the basket with pink foam sheets that I cut to size. 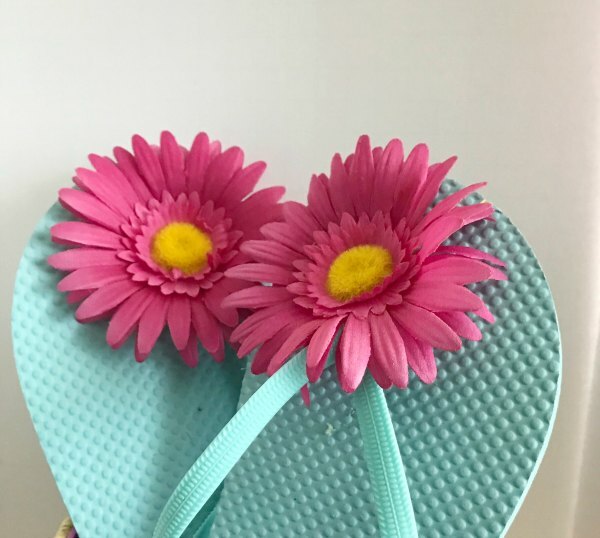 Dressing up the flip flops was as easy as gluing a dollar store flower to the center of each flip flop. I used clear Gorilla Glue. To give the items that I added to the basket more height, I inserted a couple of blocks of styrofoam to the bottom. 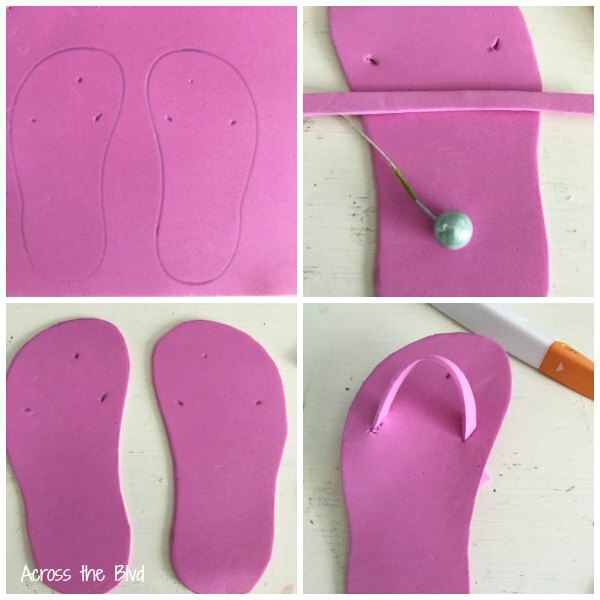 Two pearl head pins are used to hold the flip flops in place. I used a piece from a flower pick to secure the strap in the center. 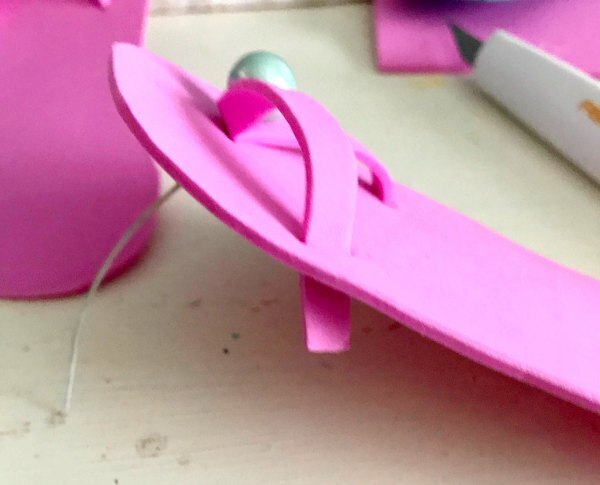 I poked it through the strap and through the flip flop, leaving the stem on. 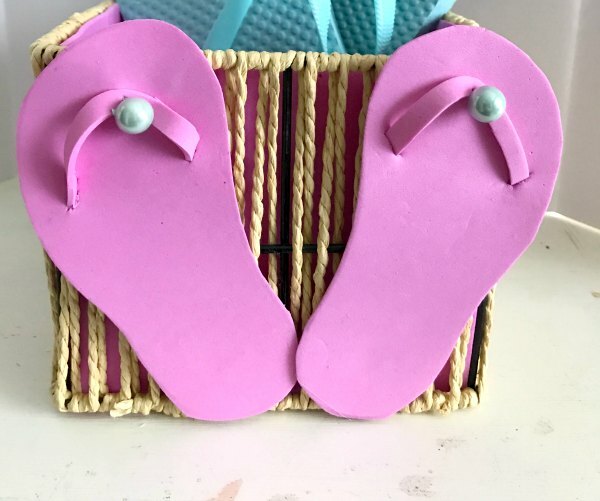 I used the stem to attach the flip flops to the front of the basket. Adding flowers and a couple of picks filled the basket. 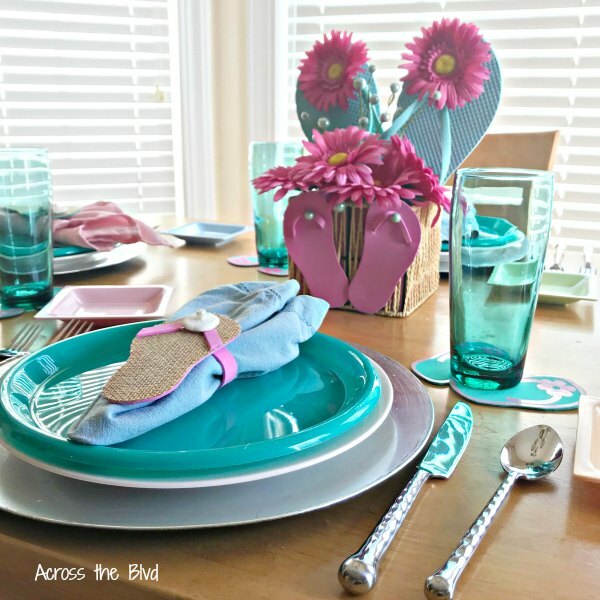 The total cost to make this flip flop centerpiece was less than $5.00 It adds a fun touch to the table for the party. Are you planning one last summer time party before fall arrives? 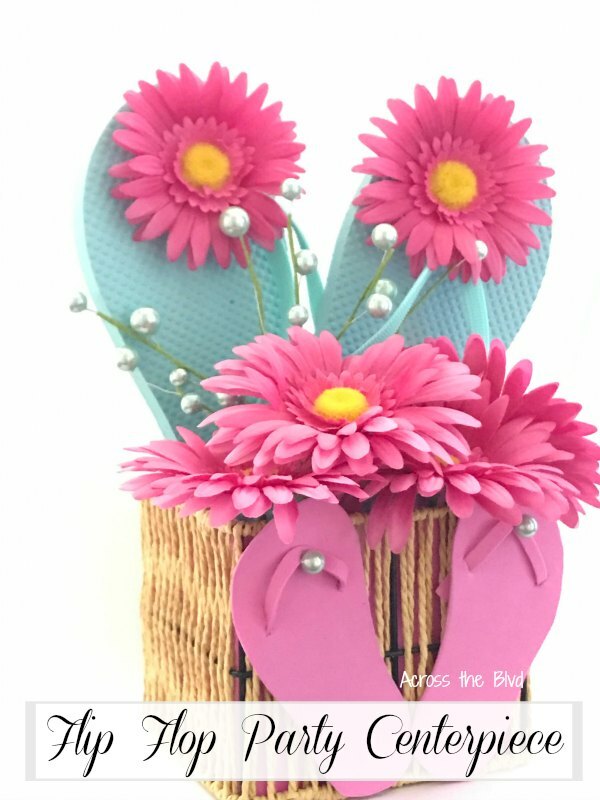 A flip flop themed party is a fun way to send off summer! What a super cute, and fun table idea! 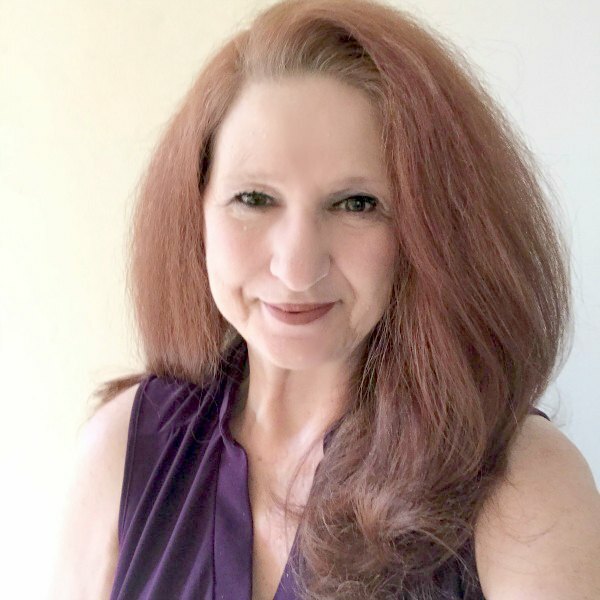 Thanks, Alexandra! It was a fun one to put together!